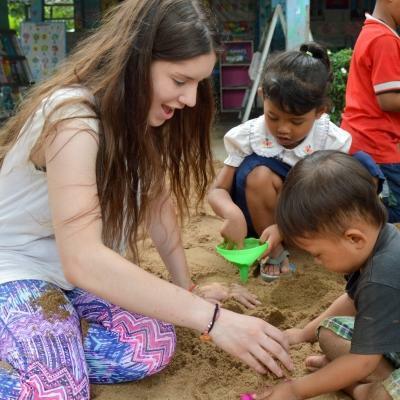 Volunteer in Cambodia with Projects Abroad and help work towards our ongoing development goals that benefit local communities. You’ll get to experience life in this beautiful country, while learning about its history and fascinating culture. 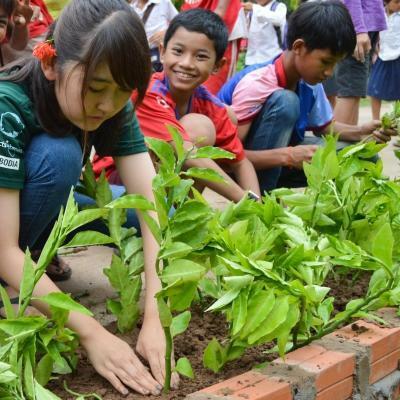 We have many volunteer opportunities in Cambodia that you can contribute to. You can support early childhood development and teach English in kindergartens, or work at disadvantaged schools. Or, travel to rural areas where healthcare services are limited, and help us provide free basic medical care. All of our projects are based in the capital city of Phnom Penh, with our offices located in the city centre. Our full time local staff are on call 24/7 if you need support. When you aren’t volunteering, you’ll spend your time exploring. You can eat your fill of Cambodian chicken curry or fresh fish amok, learn how to Apsara dance, or visit the many buddhist temples. We have the expertise and staff on the ground to create a custom project for you, or simply help you find the best option. 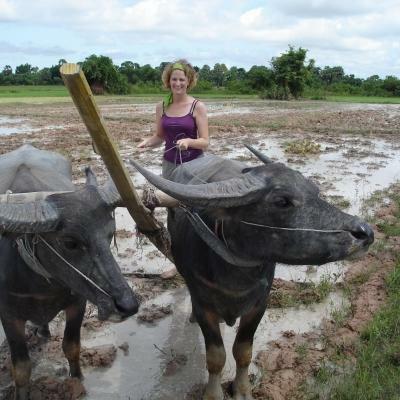 Boeb was born in Battambang, the capital of Battambang Province and Cambodia's second-largest city. He has bachelor’s degrees in both human resources and education, as well as a master’s degree in business administration. Before Boeb started working at Projects Abroad he gained experience in leadership and management by working with various international volunteer organisations and local NGOs. During his free time, he enjoys going to the gym and reading the news. Phealay was born in Battambang Province, Cambodia and graduated from Beltei International University with a degree in English literature. He worked as an English teacher at Beltei International School for three years before joining Projects Abroad in May 2016. Phealay enjoys working with people and studying in his free time. Piseth was born in Svay Rieng Province, Cambodia. He has a bachelor’s degree in English literature from IIC University of Technology, and also studied law and public affairs at Paññásástra University of Cambodia. He has a background in teaching and spent time working at Legal Aid in Cambodia, as well as the Ministry of Rural Development. Piseth joined Projects Abroad as a general assistant and was promoted to Teaching, Human Rights and Journalism project coordinator in 2016. Pun was born in Banteay Meanchey, Cambodia and graduated from Asia Euro University in Phnom Penh with a bachelor’s degree in English literature. He previously volunteered before joining Projects Abroad as a project intern in May 2015. Pun now works as the Micro-finance loan officer. 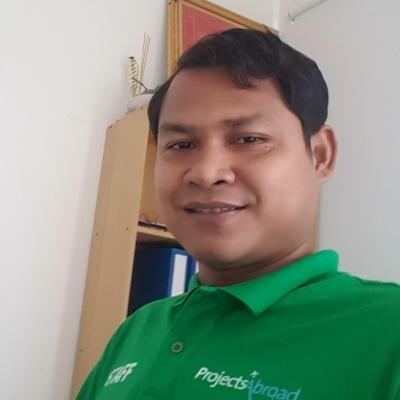 OL Sokethya joined Projects Abroad in December 2014 as Khmer Project Coordinator. Previously, he has worked for the United Peace Corps in Cambodia and Australia Volunteer International. He has a Bachelor’s degree in English and is currently busy completing his MBA. In his free time, he enjoys travelling, experiencing new cultures and playing sports. Pat is the Care Coordinator for Cambodia. 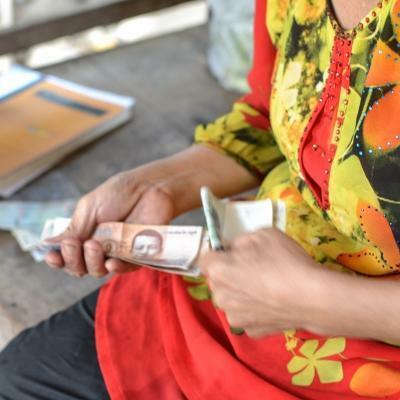 She has a Master’s degree in Economics and Management and studied at the Royal University of Law and Economics in Cambodia, as well as the University Lumiere Lyon 2. 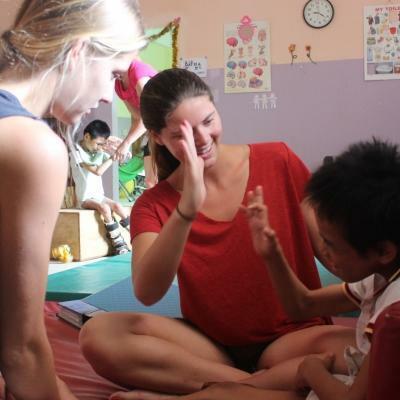 Pat enjoys spending time with her family and friends; she also likes working with volunteers from all over the world. 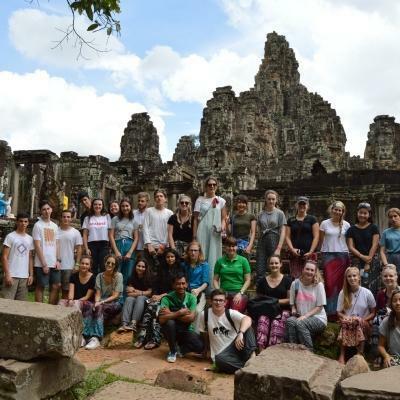 All of our opportunities to do volunteer work in Cambodia are based in Phnom Penh, a magnificent city along the banks of the Tonlé Sap and Mekong Rivers. With many historical sites that detail the events of the Khmer Rouge era, the city is definitely one for history enthusiasts. Even with Cambodia’s history of war, the city is rapidly developing to keep up with an expanding population and growing tourism industry. In some places, it can be an intriguing mix of traditional and modern life. And, around every corner, your nose will be lead to some of the most delicious Cambodian food. As you walk the streets, you’ll be greeted by saffron-clad monks, chaotic traffic, and some of the friendliest locals you’ll ever meet. You can spend time at the many Buddhist temples, sample delicious fish amok or Cambodian chicken curry, or visit one of the local markets and modern malls. And only a few hours away, lie the grand Angkor Wat Temples. It’s a trip you can’t miss! When you arrive at your respective airport, a member of Projects Abroad staff will be there to meet you. You can find more detailed information on arrival airports, orientation, and visas on our Cambodia Arrival Procedures page.